Secretly carry a fixed blade, flashlight, baton, or valuables, comfortably, all day long, on your calf, and know one knows but you. 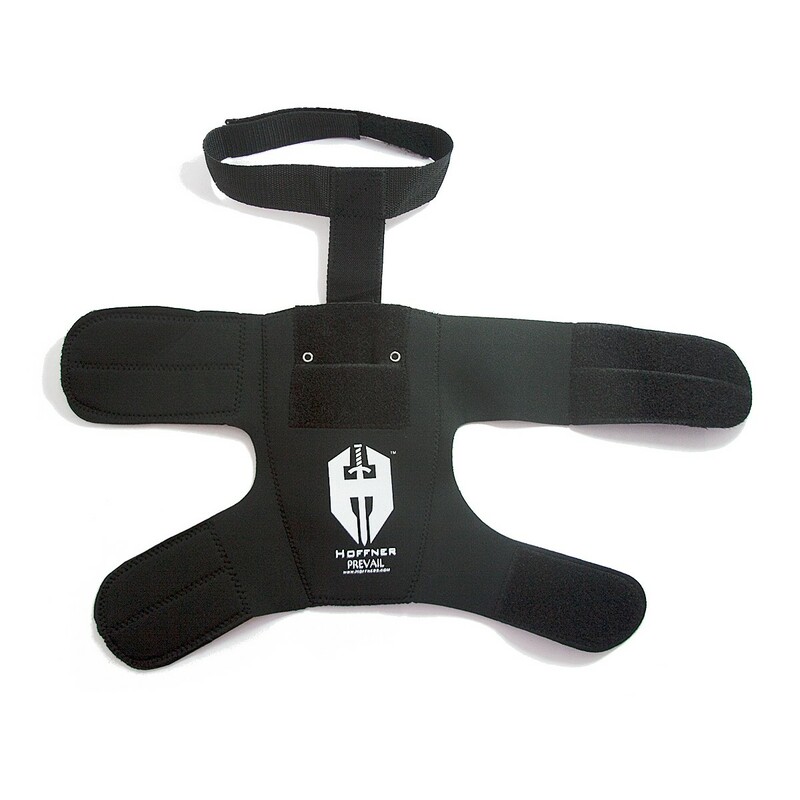 "I carry the big heavy Hoffner BEAST on my calf daily" says Brian Hoffner. "You never know when you are going to need to pry a door or break through a wall to save your family. If you can't get in, go home. Of course, I carry my wife's umbrella on the other calf... chivalry is not dead." 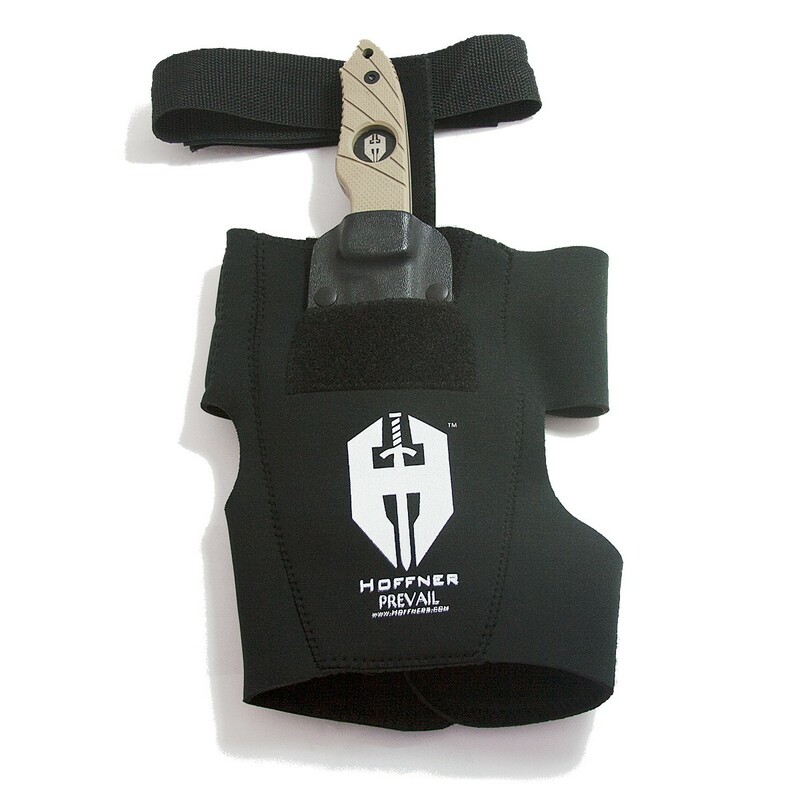 With an adjustable calf strap, and made of high grade neoprene, the Hoffner Covert Calf Holster ensures that whatever you choose to carry on your calf will be hidden, comfortable, and ready when you need it. Mount your knife sheath to the holster using the hardware from the belt latch (requires Phillips screwdriver). Compatible with all ATA pants clothing. May be used with standard clothing by pulling up the pant leg to access the knife. 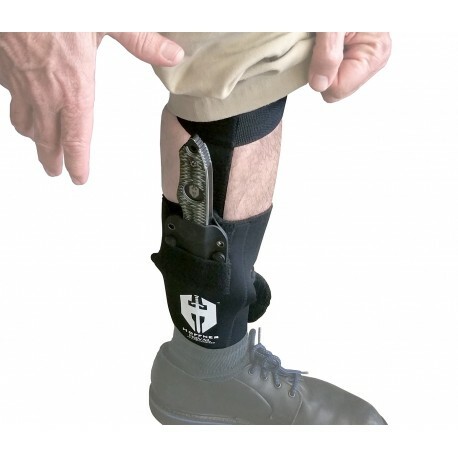 Utilizes a calf strap to keep the holster from slipping down the leg.